That was Head Coach Butch Davis the first time I interviewed him, almost one year to date, back on November 15, 2016, and his message to FIU fans that might’ve grown up as fans of the other team across town. It’s easy to support a proven winner, but it’s difficult to suffer with the growing pains alongside a young program. We all remember the T.Y. Hilton years and how fun they were, but that was just a small taste of what FIU could be, and didn’t last long enough for the team to build that type of fan base that fills up and electrifies a stadium, creating an atmosphere where opposing teams can’t even hear themselves think. 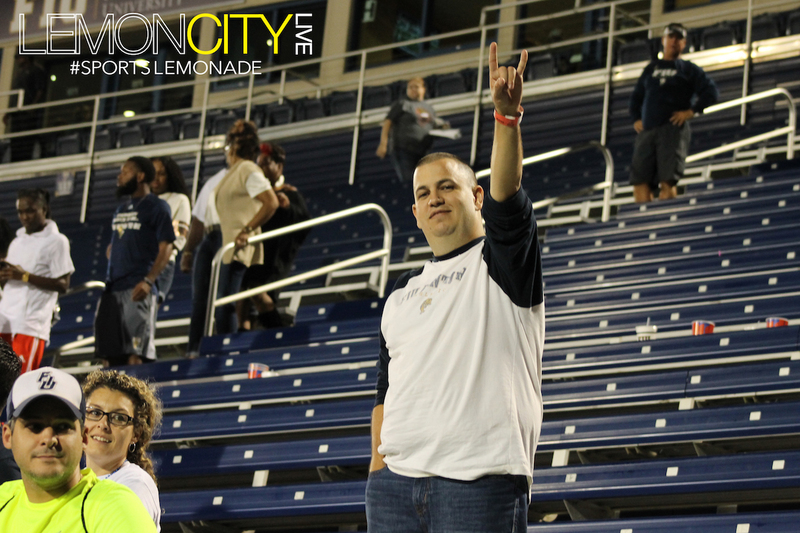 Loyal FIU fans rocking out with a win. Fast forward from 2011’s 2nd straight bowl appearance, a Beef ‘O’ Brady’s Bowl loss to Marshall, to today. FIU is 6-2, for the best start in school history, and bowl eligible with 4 games still remaining, in only Coach Davis’s first season. We all expected the program to take a step forward, but who could’ve predicted this? 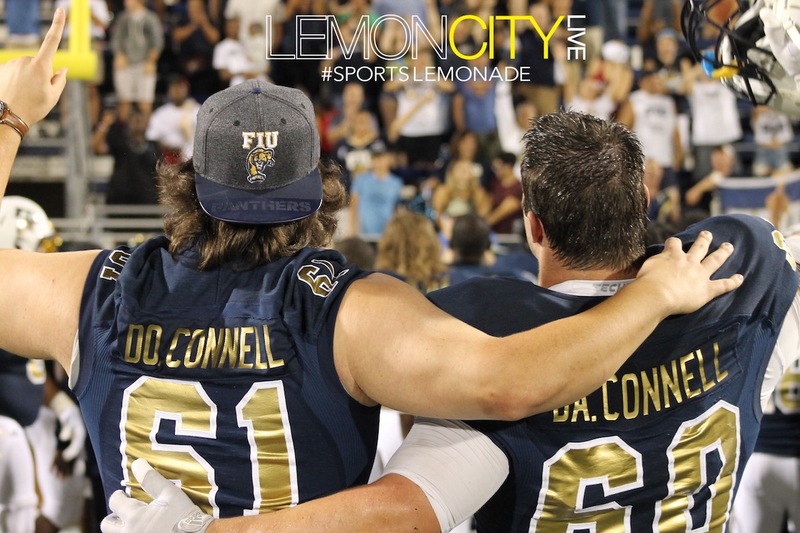 Saturday saw the perfect landscape for a historic start to a FIU season. The Panthers came into this game on a high note, after defeating the Marshall Thundering Herd, away at West Virginia, 41-30. It was the biggest win of the season for the Panthers, and confidence was expected. This was FIU’s Homecoming game, and as I walked through the tailgate at around 4pm, and knocked down a few brews, the party was nothing short of amplified. It takes time to build a winning culture, so I didn’t expect all those people to be inside the stadium come game-time, but with each win, you can see the stadium crowd sizes increase the following home game. I made my way to the alumni tent where the band was getting the fans ready with their signature song, Big Ballin’, and again, I knocked down a brew or two. Shout out to MIA Brewery for their great selection. This was the first time I actually felt that genuine college football atmosphere; The band, cheerleaders, alumni and fans all coming together to support their squad. Something’s happening! By now, you know the Panthers won this game, and aside from 13 seconds of “if you blinked, you missed FIU scoring two touchdowns” in the 3rd quarter, the game was mostly uneventful. The first touchdown came on a 15-play, 93-yard drive, with none other than T.O., Thomas Owens, catching a 13-yard pass from Alex McGough, with 3:40 left in the 3rd quarter. A kickoff, a 15-yard return culminating in a forced fumble caused by FIU’s Fred Russ, and 13 seconds later, and FIU found themselves with the ball on UTSA’s 18-yardline with the ball! One play and one 18-yard pass from McGough to RB Shawndarrius Phillips, and FIU lead UTSA 14-0! They literally scored two touchdowns 13 seconds apart. Paws up and jaws dropped while happily asking yourself, “what the hell just happened?” was the norm in the stands. FIU QB Alex McGough throws for 2 TD’s in FIU’s win over UTSA. This win had “defense” written all over it. FIU held UTSA to one touchdown, scored early in the 4th quarter, but the signature moments came later in the 4th. With 6:44 left in the game, and UTSA only down by one touchdown, they found themselves at the FIU 2-yard line. With the game winding down, UTSA felt like they needed a touchdown and decided to go for it on 4th and goal, but the Panthers kept the Roadrunners out of the end zone for a goal line stance turnover on downs. 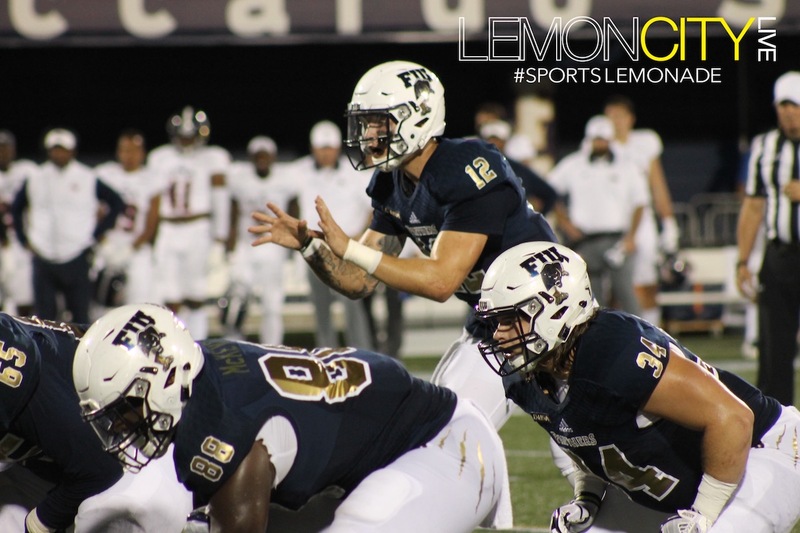 After a quick three and out, deep in FIU territory, the Roadrunners started with the ball in FIU’s 40-yardline. After failing to convert a 1st down, they again felt like they needed a touchdown, instead of taking 3 points, and decided to go for it on 4th down. The Panthers once again earned a turnover on downs, and killed almost four minutes off the clock before once again punting to UTSA, this time deep into UTSA territory on the 15-yard line. Three plays later, FIU recovers another fumble, and that would be the final nail on the coffin for UTSA. “All we want to do is win the next game and do the best that we can”. Coach Davis preaches being 0-0 once the next practice starts, and with 4 games remaining on the schedule, and a possible Conference USA title, the Panthers shouldn’t get ahead of themselves if they want to be looking at an exciting bowl game matchup against a formidable, traditional powerhouse opponent. For now though, these guys should soak it all in, and enjoy their accomplishment thus far. 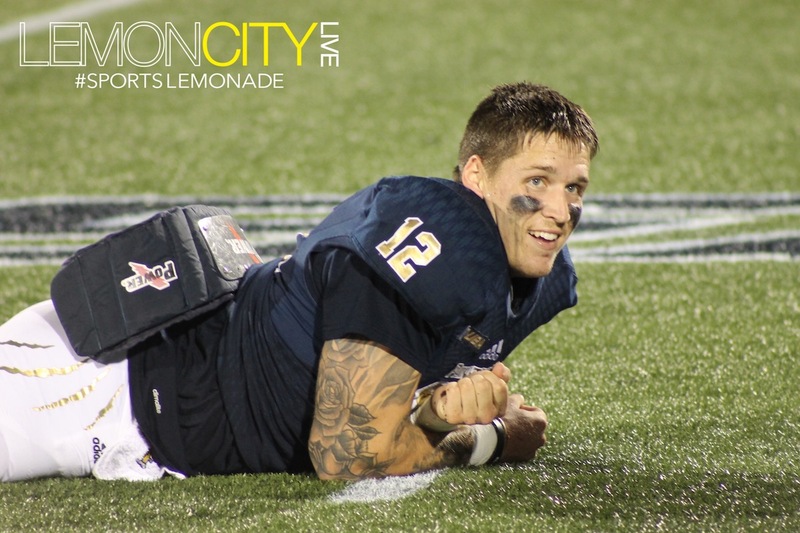 FIU QB Alex McGough hinted that he might’ve shed a tear of joy following their win.